“The board of directors of the bank is scheduled to meet on April 26, 2019 to consider raising of funds by way of issuance of equity shares including but not limited through preferential issue and/or Qualified Institutions Placement (QIP)/ Global Depository Receipts (GDRs)/ American Depository Receipts (ADRs)/ Foreign Currency Convertible Bonds (FCCBs)/ or any other methods on private placement basis,” YES Bank said in a BSE filing. Earlier, in March 2017, YES Bank had raised Rs 4,907 crore through QIP route, issued shares at price of Rs 300 per share (adjusted to stock split from Rs 10 to Rs 2). Meanwhile, the board will also consider the audited financial statements of the bank for the quarter and year ended March 31, 2019, along with dividend recommendation, if any, for the financial year 2018-19, it said. According to analysts, the new managing director at the helm should guide investors' path ahead for the YES Bank and especially on capital raising, asset quality and PCR. “We expect loan growth of 25 per cent year on year as base quarter remains high, while net interest income (NII) to be better but fee/other income to be much lower. We are also building higher credit cost as the bank will look to enhance its PCR ratio,” Prabhudas Lilladher said in quarterly preview. 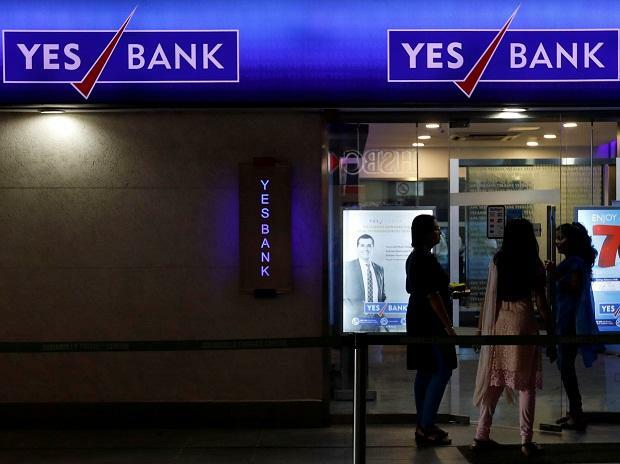 “YES Bank’s growth in Q4FY19 is likely to moderate from the higher levels seen in earlier quarters, albeit still much higher than industry; Asset quality trends to be benign. The strategy under new management will be key monitorable”, brokerage firm Edelweiss Securities said in its quarterly preview. At 02:23 pm, YES Bank was up 3.6 per cent at Rs 269 on the BSE, as compared to 0.44 per cent rise in the S&P BSE Sensex. A combined 32 million shares changed hands on the counter on the BSE and NSE so far.